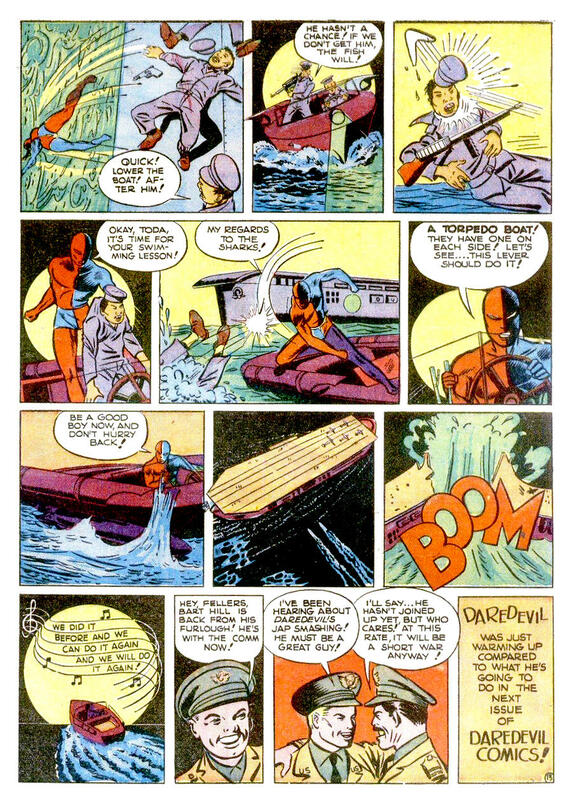 After his symbolic appearance in the splash page, Daredevil doesn’t show up in this story until page 10. 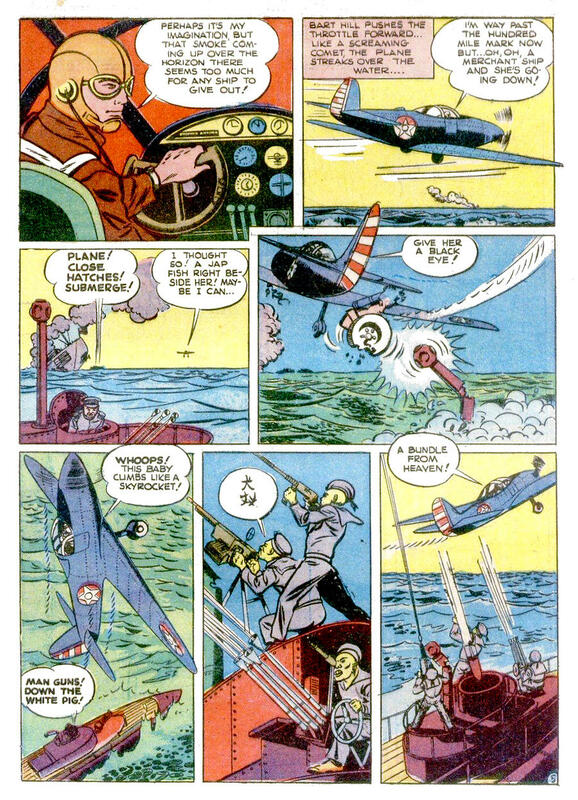 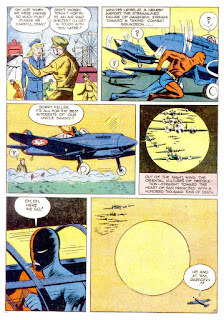 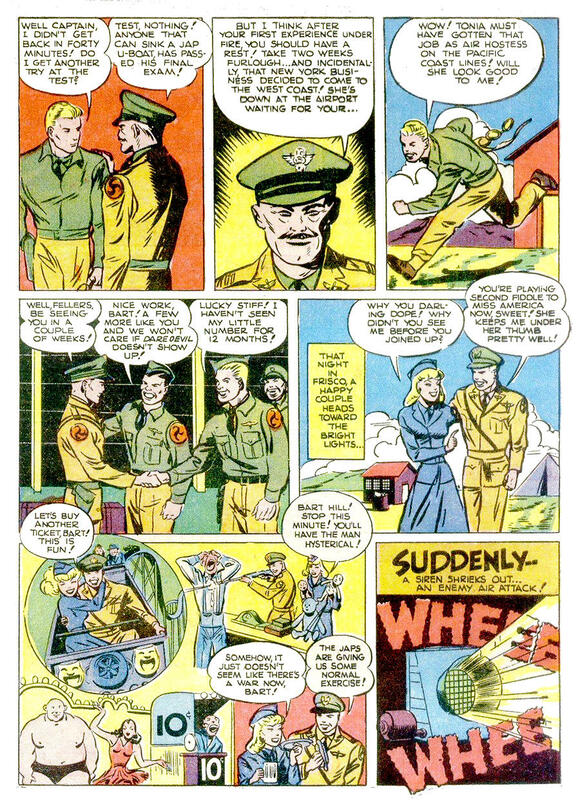 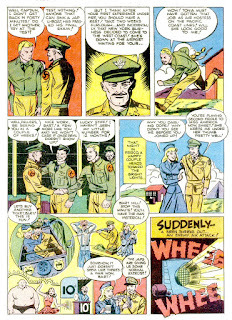 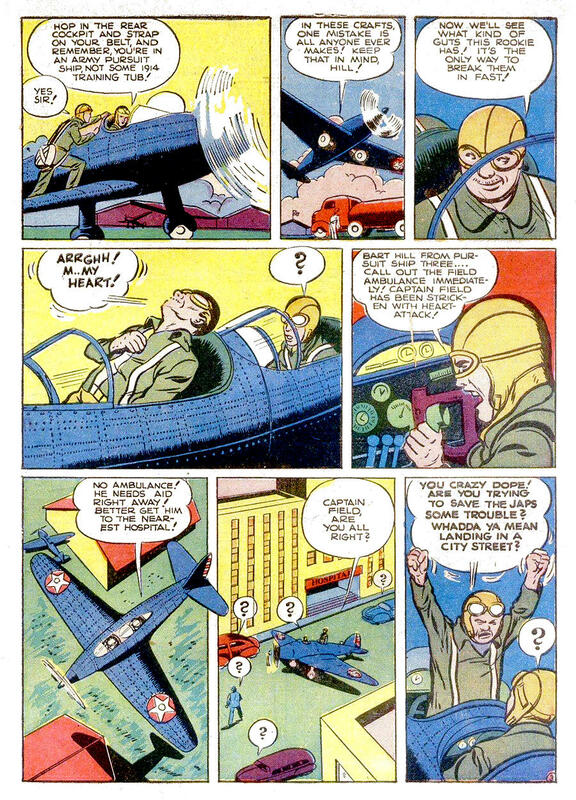 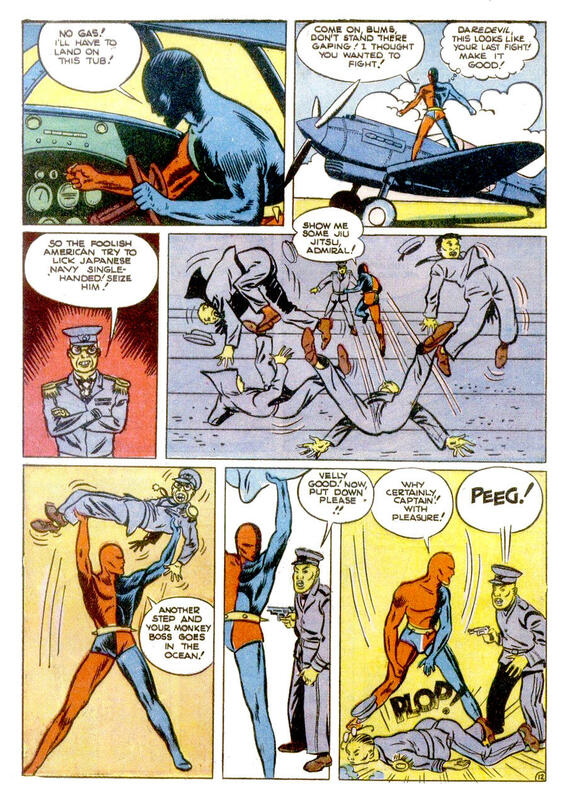 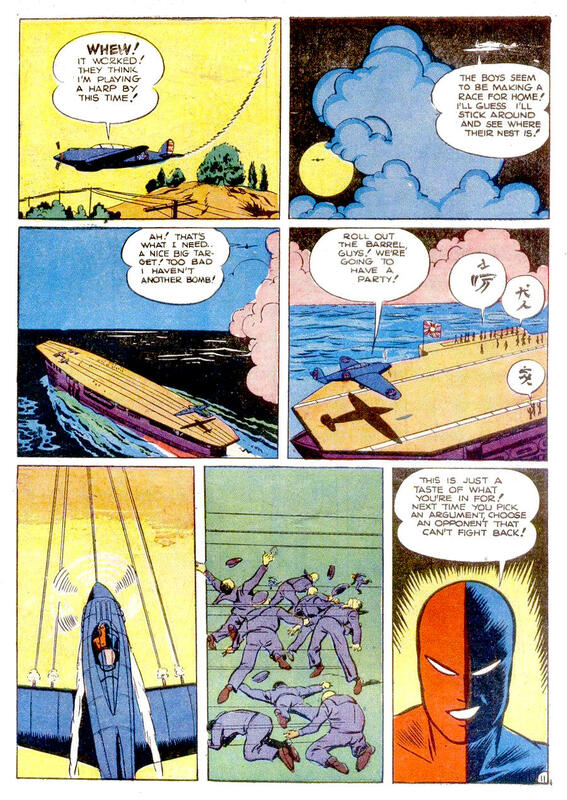 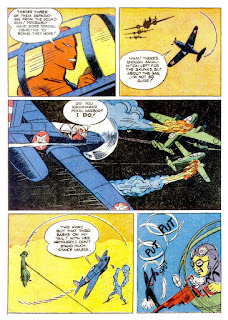 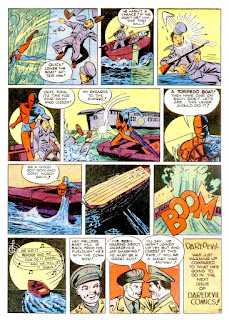 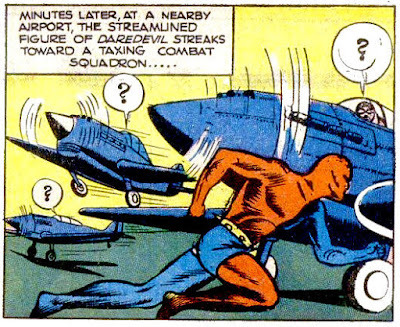 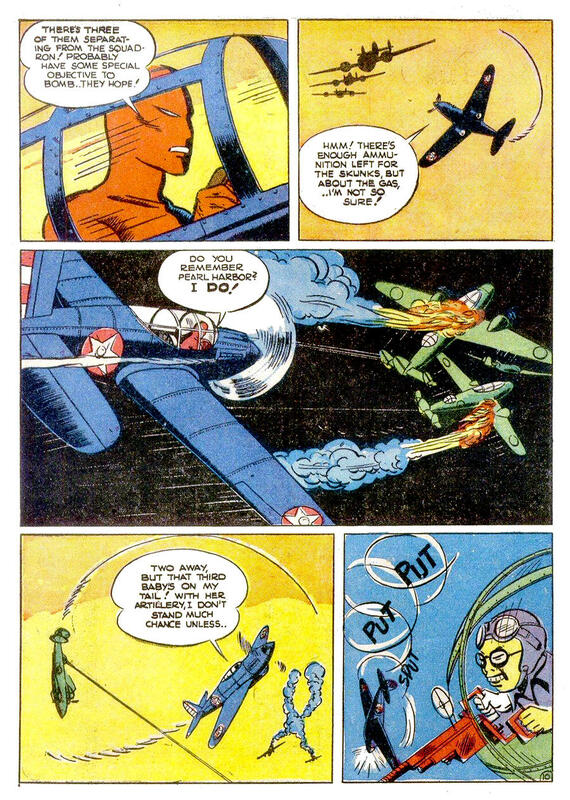 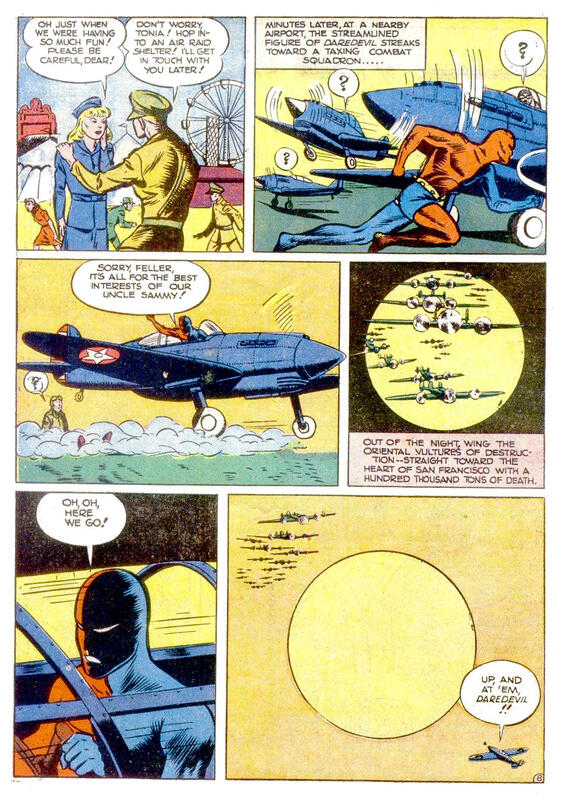 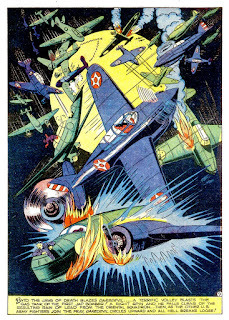 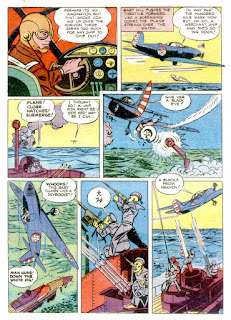 The story is mostly about Daredevil’s secret identity, Bart Hill, joining the Air Corps and learning to fly. 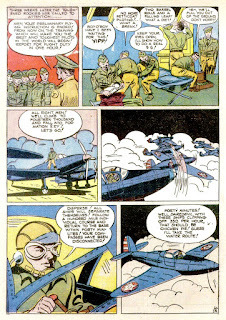 He survives the Air Corps physical, shown as a spin in an office chair (page two). 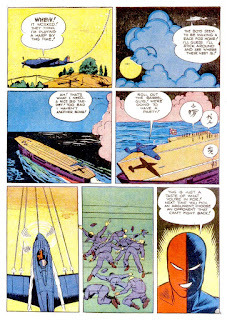 On a training flight he even takes out a Japanese sub! This story appeared in Daredevil Comics #10, cover dated May, 1942. 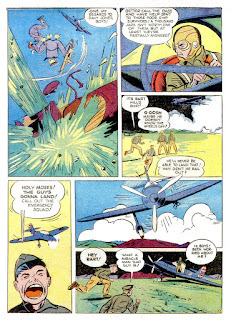 It was written and drawn shortly after the attack on Pearl Harbor. 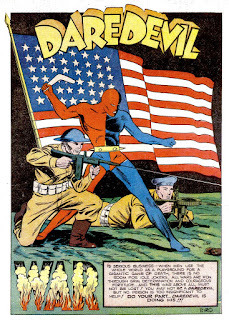 Patriotic fervor was high in those days. Great post as usual. Is this Cole art? Jason, I don't believe it is Cole. 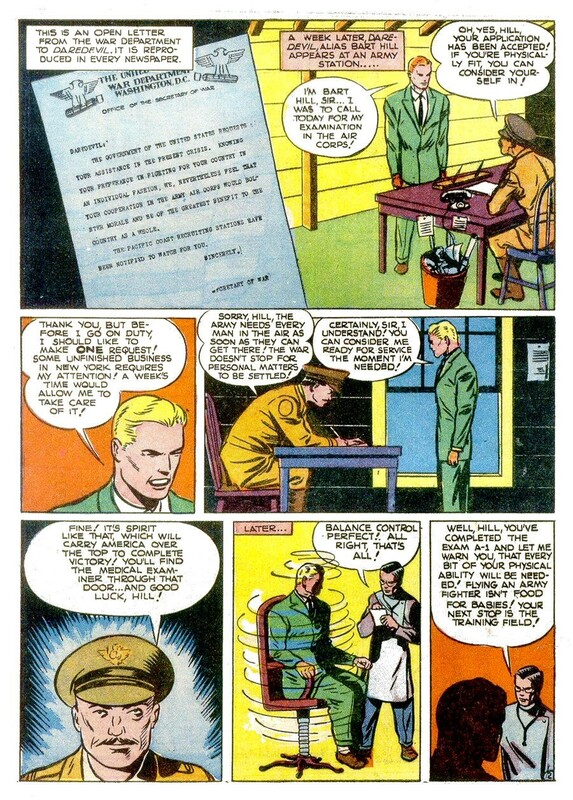 Even though Biro signed it, he used ghost writers and artists to do the plethora of material he signed.